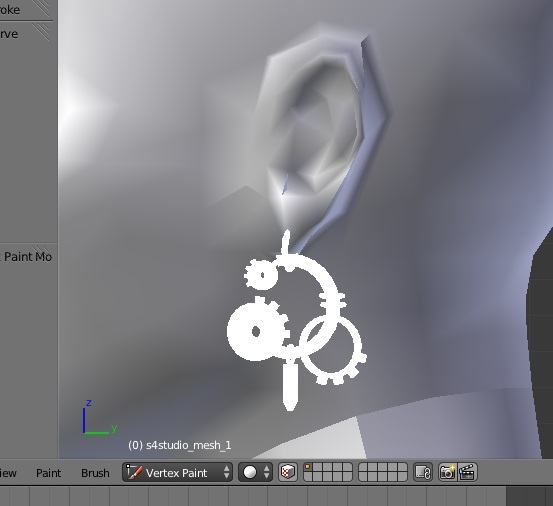 why my earring looks normal in Blender and in Studio, but looks so smoothed in game? If you post it I can look at it for you. and it needs to be green ( hex # 007F00). thank you! I just thought I don't need to use Vertex Paint if I don't have any EA's parts of mesh. "verify that this LOD has the same number of mesh groups as LOD 0"
And if it's not? I'm talking about the necklaces... 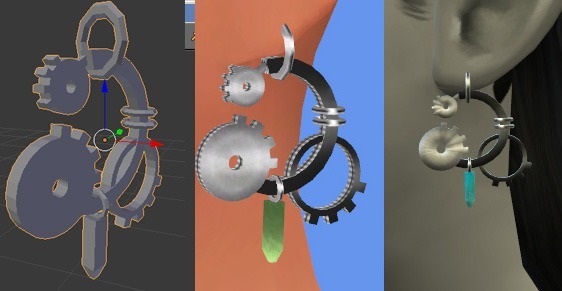 I tryed 3 different and all of them have mesh1 and 2 in lod0 and only 1 in lod1-3...Is it still imposible to make your own necklace from another necklace? 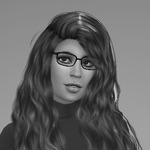 should I use something like earring as the base? If it doesn't have the same number of groups you cannot just decimate the LOD 0 and use it to replace the lower lods directly. Instead you need to make sure what you're using to replace the lower lods has the same number of mesh groups as the lower lod has and that they have the correct cut numbers. In cases where there is a mismatch it is often the case that the high lod has an extra mesh group consisting of a small box. This small box is cut 0. If you use this to directly replace a lower lod that has only one mesh group you will replace the lower lod cut 0 with a small box instead of with your mesh. What you need to do in these cases is first delete the small box group from LOD 0, rename the cut of your main mesh group from 1 to 0, and then use that to replace the lower lods. Hi hi!! Okay, so I'm trying out this tutorial and on step 5, I think, its not allowing me to make the edge selection and none of the boxes are turning orange! help! Hi, thanks for the tutorial! Sorry if this is a silly question, but after step III-14 - unwrapping my mesh, my mesh map doesn't have two circles in it like yours, it looks different. Any idea what I'm doing wrong? Oh wait never mind, that WAS a silly question! Somehow the bottom ring wasn't actually made of anything. Fixed it! I've been working through Start to Finish New Accessory Mesh for Beginners I-V, but every time I get up to Part III: Unwrapping the Mesh & Mapping UV 0, specifically, unwrapping the mesh, I've noticed that my map doesn't look like the one in the guide. I'm a little confused as to whether or not I've done something wrong. If anyone is able to help me, that would be absolutely great.